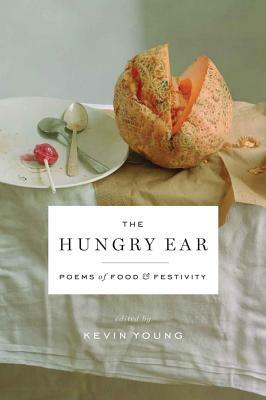 Edited by poet Kevin Young, this book serves up a feast of poems for sampling, savoring, and double-dipping. As our most memorable meals often do, the poems span a range of feeling and experience: Readers can celebrate butter and family with Elizabeth Alexander, sing a drinking/love song with Keats, revel in picking blackberries with Mary Oliver, and slurp oysters (and guilt) with Seamus Heaney. Verse connoisseurs and social poetry-readers alike will find much to share with friends of both hungry and reluctant ears. Food and poetry: in so many ways, a natural pairing, from prayers over bread to street vendor songs. Poetry is said to feed the soul, each poem a delicious morsel. When read aloud, the best poems provide a particular joy for the mouth. Poems about food make these satisfactions explicit and complete. Of course, pages can and have been filled about food's elemental pleasures. And we all know food is more than food: it's identity and culture. Our days are marked by meals; our seasons are marked by celebrations. We plant in spring; harvest in fall. We labor over hot stoves; we treat ourselves to special meals out. Food is nurture; it's comfort; it's reward. While some of the poems here are explicitly about the food itself: the blackberries, the butter, the barbecue--all are evocative of the experience of eating. Many of the poems are also about the everything else that accompanies food: the memories, the company, even the politics. Kevin Young, distinguished poet, editor of this year's Best American Poetry, uses the lens of food - and his impeccable taste - to bring us some of the best poems, classic and current, period. Kevin Young is the author of seven books of poetry, most recently Ardency and Dear Darkness. His collection For the Confederate Dead won the Paterson Poetry Prize for Sustained Literary Achievement, and Jelly Roll was a finalist for the National Book Award and the Los Angeles Times Book Prize. He is also the editor of six previous anthologies, including The Best American Poetry 2011; The Art of Losing; and Blues Poems and Jazz Poems, from the Everymanâ€™s Library Pocket Poets series. Young is currently the Atticus Haygood Professor of English and Creative Writing and curator of Literary Collections and the Raymond Danowski Poetry Library at Emory University in Atlanta.